An ACLU Fundraiser Comes to Bodega, and an Events Calendar Is Coming to Bushwick Daily! Have there ever been so many ways to have a great time in the name of a great cause? In the past several months, Bushwick's organizers, event planners, activists and business owners have been hard at work making it easy for locals to support Planned Parenthood, the ACLU, Lambda Legal, and many, many other organizations that are combatting the effects of this presidential administration's policies. Tens of thousands of dollars have been raised locally since the results of the election were first reported, and as astonishing news continues to break daily in Washington, there are no signs that New York City's fervor for progressive activism will be waning any time soon. 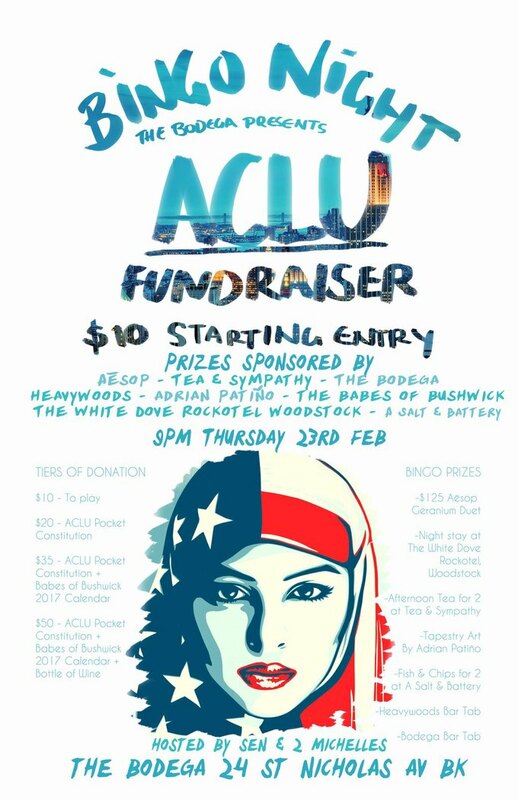 One example of these many amazing events: the ACLU bingo night coming to Bodega bar next Thursday, Feb. 23. For the price of entry, which starts at $10, bingo participants can compete for luxe prizes donated by Aesop skin care, English-style West Village sister businesses Tea and Sympathy and A Salt and Battery, and The White Dove, a boutique "rockotel" in Woodstock, New York. This event, while noteworthy, is one of so many happening right now that Bushwick Daily is working on getting a calendar up and running so organizers can submit their own events for our readers' consideration. Stay tuned for more calendar news—and in the meantime, look out for each other, and try not to let these weird times grind you down, Bushwick! 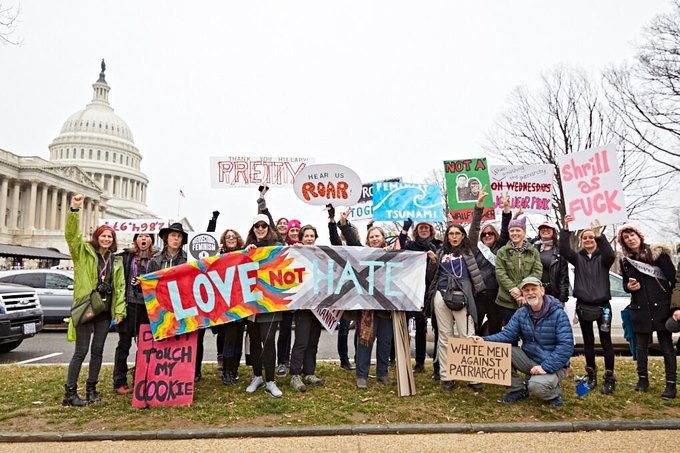 Featured image: Bushwick protestors in Washington, D.C. Angela Altus for Bushwick Daily.